Notice: Profiting from Podcasts is included in my Elite marketing training programs list. More on that later. No travel – you can use your office, home, or any other location without having to worry about your appearance, as the vast majority of interviews come only in audio format. Yes, you can do it on your pajamas if you want. Massive visibility – all the podcasting stars started out small. But now the more they appear on shows the more hosts want to feature them on their shows. This creates a snowball effect, as Steve says…Visibility Begets Visibility (VBV). Bond with listeners – as podcasting is an intimate medium, the relationship between the host and the listener is amongst the deepest connections of all the media available today. Most of the listeners consume podcasts via earbuds, and because of the proximity of the earbuds to the brain, is like the host is inside the head of the listener. Just like when you listen to music and your favorite bands and albums. This creates a sacred bond that the podcaster has to honor. Relationships with icons – very often podcasts shows create strong relationships between the hosts and guests. The interviews go beyond the surface, and oftentimes the conversations lead to heartfelt connections, and it’s not unusual for hosts and guests to begin working together after these interviews. Leads & sales – if done right, your appearance in other people’s podcasting shows will inevitably be followed by leads, enrollment conversations, and cash. Even the smallest of shows have hundreds of loyal listeners and when the host encourages them to take action, they simply do! Almost always, you’ll have the chance to invite these listeners to continue the conversation with by finding out more information about you, usually at the end of the show. Steve’s capitalizing on this huge opportunity instantly. No work required (almost) – the host does all the work for you. They take care of the promotion and all the technical stuff, you only have to share your expertise, stories, and knowledge. And after the interview, the host has to take care of the audio production, to write the show notes, create the artwork, upload it to the podcasting platform, promote it on their websites and social media accounts, through emails and other mediums. As a guest, you don’t have to worry about that stuff. The key thing is to engage with the host’s listeners in order to develop rapport and come across as someone they want to connect with and learn more from. Once you have the audience engaged, excited about who you are, what you teach, and how you can guide them, you’ll be able to secure pre-qualified leads, have meaningful follow-up conversations, and ultimately generate revenue through the sales of your products and services. The most important moment is the very first one, so you have to choose your words carefully, to make the best possible first impression. You have to try to be memorable. Within the very first minutes of an interview, people will decide if they like you or not, just like it happens with offline connections. Informing – share information the listeners have likely never heard before. It could be a new case study, early access to news, a groundbreaking new strategy, proprietary information that only you or your brand has access to. When you do that, you’re not teaching, you’re introducing people to information that’s interesting, appealing, and of course, valuable. Important: do not divulge everything you know. Inform them just enough to capture their attention, so that you can bounce them towards your eco-system so they want to find out more about you. Teaching – provide a tangible outcome that the listeners can apply to their lives or businesses. Specific strategies for using a social media platform, for example. A short breathing exercise to relax them. Again, give them just enough to establish your expertise while properly positioning what you didn’t teach them so they’ll want to learn more about you. Entertaining – this doesn’t mean you have to be a comedian or to laugh out loud. You have to be a good story-teller. There’s no other medium that intrigues people more than stories. People are drawn to stories and to clarity. Stories are being remembered, facts are forgotten. They will remember how you make them feel, As Dan Kennedy, a legendary marketing guru said…” If you can make them laugh and cry, you can make them buy”. Be willing to be vulnerable. Share something you’ve never shared before. But above all, be entertaining, you want them attracted to your voice and personality, they’ll want to go deeper and find out more about what you offer. Intriguing – this is a hard skill but all skills can be taught. Over time, it will come naturally, as you breathe. Intrigue their interest in a specific topic, leaving them in desperation to want more. Sam Horn references the Eyebrow test, if you can get the listeners to raise their eyebrows within their first minutes of them hearing you, you’ve raised curiosity, you’ve got them hooked. Everyone loves a good mystery and interesting ideas. Before you can monetize your appearances, you need to have a meaningful dialogue with listeners. Without interest on their part, nothing can happen. When you appear as a guest you will rarely have a chance to offer something for sale, besides, it would make people feel uncomfortable. Customers buy only from those they know, like, and trust. A 30-60 minutes appearance is like a first date. It’s a nice hello, nice to meet you, but a first date doesn’t lead to a marriage. At this moment, people are just passive listeners for you, you have no idea who they are, where they’re from, how to contact them. The same is true for the podcast host. There’s no technology to capture a downloader’s data. That means podcasters have to drive listeners towards their websites, social media or offers they can pixel their audience. If you can’t make that happen is like having a nice conversation and then leaving with a warm goodbye. But always, there are people who will be interested in who are and what you offer. Website/Pixels – drive people to your website. Install a pixel in order to be able to re-target them at later times, double check your site looks good, all links are working properly, there are obvious call-to-action buttons. Social Media – you can give away your Twitter, Snapchat, Instagram, or Facebook account, get them to subscribe to your You-Tube channel, or connect with you on LinkedIn. However, social media engagement has been declined over the last years, so bear that in mind. Anyhow, it’s a medium you can’t simply ignore, but you have to try harder to convert social media followers into cash. 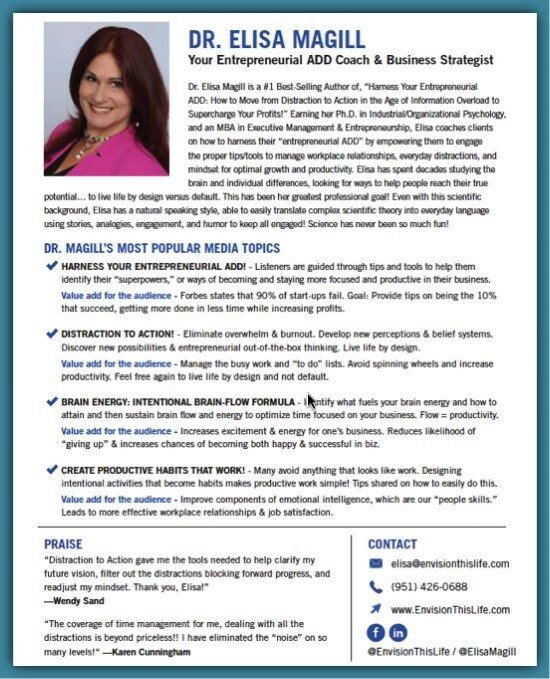 Lead Magnets – it can be a free offering, like an eBook, reports, blueprints, audio downloads, videos, PDFs, templates, swipe files, any media at all. All the offers must be free, further the conversation, and feel like a no-brainer to the listeners. Here’s what Steve is practicing: On a lot of shows he discusses the ” What is your What”, his proven framework to help people discover the one thing they were born to do. Often, he has deep conversations about the importance of discovering what puts fire in one’s soul and examples of people who have discovered their WHAT and are changing the world as a result. At the end of the interview, the host will almost always allow Steve to invite listeners to connect with him for more information. He directs people to the What is your What website, where they can grab a free copy of the book in digital format. The listeners only have to provide their emails and names to get the download. It’s an easy YES. From there, he expands on offering additional and similar offerings that we analyzed in a previous article, where Steve discusses his $1000 funnel technique. Exploration Sessions – invite listeners to sign up for a free consultation or exploration session. This strategy could result in multiple session requests if the show you appear on is popular, and you might need a team to handle all the requests. However, this is the tactic that can bring in the more of revenue, the fastest. Example: Scott Oldford appeared on John Lee Dumas’s show, Entrepreneur on Fire, and at the end of the interview he offered complimentary strategy sessions. As a result, 90 people scheduled an appointment. He was then able to generate more than $100,000 in revenue. All in all, knowing which strategy to offer takes practice, testing, a bit of luck and a ton of intuition. The most important thing you can do before appearing on a show is to do your research. Listen to a handful of the episodes from the show you’ll be appearing on, reach out for past guests to find out how the response was to their offerings and ask the host for their insight. They know their audience better than anyone and, given that they’ve likely tried each of these strategies over the years, they’ll have a strong sense of what will provide you with the best response. Monetization is, of course, the holy grail of visibility. But simply appearing on someone’s show does not mean you will make money at the end of the day. Selling is another important skill and can be taught, just like all skills. It’s one that must be honed, it requires trial and error, one that you can master if you choose to persevere and insist when the desired results did not meet yet. I remember when I was trying to master webinars and, no matter what I did, my webinars were not converting into sales. I was working with a webinar coach who was guiding me to create a webinar that converted well, but the conversion rate on my presentations was dismal. Enough said. I like money… and I’m not a quitter. So, we continued to tweak the webinar until I began closing sales. In looking back, I’m certainly glad I stayed the course, but I almost gave up. However, there does come a time when the rope must be cut. Trying to continually jam a square peg into a round hole will only result in pain and, sometimes, the glove really doesn’t fit. Time is your most valuable commodity so it’s important to know when your time might be better invested in a different initiative. There is no shame in saying you gave something a try or two and it didn’t work. And, I’ve grown comfortable with the fact that webinars are not my best monetization tool. From the stage, I can consistently close 25 – 35% of the room. On a webinar, if I can close a small fraction of that amount, I’m having a good day. Translation – be prepared to test a LOT of monetization strategies and be willing to tweak what’s working and, if necessary, cut the rope on what’s not. 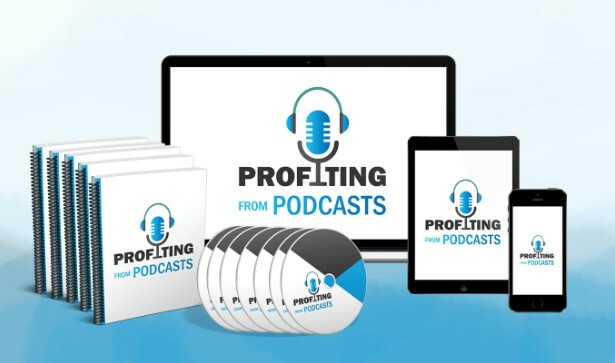 There are numerous options for monetizing your visibility and I go into detail on the proven tactics that I leverage in the Profiting From Podcasts training. Merchandise – create your own t-shirts, books, journals, supplements, jewelry, and much more. Branded merchandising is a phenomenal way to generate revenue, create a community, and more importantly, have others do the marketing for you. With varying price points, from just a few dollars to hundreds of dollars and more, you can create items that meet every budget. Online courses – this tactic is hot. Everyone has something to teach. Everyone is an expert in something, and you don’t need to have generated thousands of dollars to help someone shorten his learning curve in a subject. Quote: To a second grader, a fifth grader is a God. You just need to be a few steps ahead of someone and they’ll want to learn from you. Membership programs – this tactic can create an on-going residual income in exchange for providing members access to exclusive content, software, a closed community, personal guidance, or anything else. Just like I do with the Digital Business Roadmap membership, that at the moment is a free membership. Of course, I am building premium sections to expand my offerings. You can charge members on a monthly, or even on a yearly basis. The members’ investment can range from just a few dollars to as much as several thousand dollars per month. This can add up very quickly. Live events – Steve’s been hosting live events since 2009. He’s a firm believer that there’s no better way to connect with fans, followers, subscribers, or listeners. But this technique requires an intense amount of planning, time, energy, and resources. Steve’s latest addition, the New Media Summit, provides attendees with the opportunity to connect one on one with 40 of the world’s leading podcasters, including his team from Reinvention Radio. Coaching – you can structure it as group coaching or 1-on-1 sessions. This allows you to share your brilliance, provide detailed guidance, and be rewarded in the process. Group coaching can require a client investment of tens of thousands of dollars, with the training being delivered online, in person, over the course of several days, a full year, or even longer. One on one coaching can require a similar client investment but is often delivered in a smaller number of sessions. Of course, there are hundreds of other ways you can monetize these connections, and these 5 strategies are only a sample of what’s possible. The push method represents the old way of communication, like radio, television, newspapers, magazines, email, social media marketing. With this method, a message is being distributed and pushed on a mass market basis to all who have access to the respective distribution channel regardless of what the people want to receive. The pull method represents the future of all content consumption. It is built on the foundation of what the consumer exactly wants, taking into consideration the device people want to use or the channel. The pull method is the future of marketing communication. It helps develop more meaningful relationships, consistently generating no-cost leads, and ultimate drive huge gains in revenue and profit. When someone downloads a podcast episode to listen to, basically that means they want it. It’s like having a 100% open rate or click-through rate. People consume podcast shows using their headphones and that creates a strong bond with the podcaster, it’s like listening to music. There’s a personal connection. Podcast listeners are 130% more likely to invest in a product, program, or service recommended by the podcast host. Podcast listeners have money to spend based on recent research. The research uncovers that 41% of podcast listeners have an annual household income of $75,000. 15% of them have more than $150,000 annual income. Because technology is now available to the masses, that was not available in early times. People had to take many steps before getting access to a podcast show. In the next 5 years or so, all cars will have available wifi connections. The dashboard of our cars is changing. A dashboard with features like phone, music, maps, messages, podcasts, audiobooks. Apple and Google are developing car apps at the moment. The Podcasting phenomenon is revolutionizing the way entrepreneurs everywhere are connecting with ideal prospects, cultivating a loyal, borderline fanatic following and selling their products, programs, and services to customers all over the world. Steve mentions that getting booked starts with identifying the RIGHT shows to appear on, those where you have the best chances to get booked, in order to connect with “icons of influence” who host the shows and have already built their following of loyal fans and listeners. Although there are many distribution channels for podcasts, the king is iTunes. The vast majority of podcasters are using this platform. The “Riches are in the Niches”. Your Topic of Influence is the 1, 2, 3 or 4-word phrase that summarizes who you are and what you specialize in. For example, Steve’s TOI is one word, reinvention. Visibility is the lifeblood of your business and visibility begets more visibility – the more visibility you have, the more visibility you’ll generate. You want shows that are active, meaning the last episode should have been released in the last 45 days. If the last episode was released over 2 months ago, Steve suggests that you continue researching shows. You need to understand what the show is all about, if you like the content and the host podcaster, is it a show you’d like to appear on? Moreover, you have to make sure the podcaster is open to interviews. The Profiting from Podcasts training covers 5 different types of podcasting shows, and an interview-style show holds the highest likelihood for you to get booked on, by far. Next thing is to use iTunes and search for your TOI (topic of influence) and repeat the process for other podcasters and shows. You need to be an engaging guest to enroll people in your eco-system. You want to pique people’s interest so that they want to continue their conversation with you. Unlike traditional broadcast media, podcast hosts will always invite you to share the best place for listeners to get more information about you, to connect with you or to grab one of your free resources. This is where The $1,000 Funnel begins. 1) It must be FREE and cost you nothing to deliver. 3) It must be an absolute ‘no-brainer’ to provide one’s name and email address to receive. In other words, the listener has to feel as though the value of the freebie far exceeds the ‘price’ of providing their name and email. 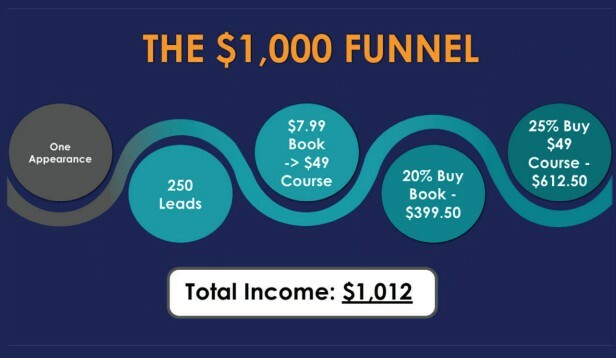 Then Steve describes the whole process with examples of his $1000 funnel. He appears on a lot of personal development related shows where he uncovers his proven framework for helping people discover their WHAT, the one thing they were born to do. At the end of the interview, the host will always allow him to invite listeners to connect if they like more information. This is the moment he shares a free copy of his New York Times bestseller book, What is your What. On average, 250 people provide their emails to get access to the free book. Then, on the same page, he offers a different version of the same resource. A free hardcover copy of the book where people have only to pay for shipping, something like $7.99. 20% of those 250 people say yes, and buy the hardcover book. Because the most difficult thing in any business is to acquire a customer. To get people to spend one dollar with you. After this point, the next sale is exponentially easier, and every sale after the 2nd point is even easier to make. When someone invests in you, it completely changes everything. This is when Steve offers a 3rd version of the same exact resource. In this case, the Reinvention Workshop, which is an online course that takes people through the “What is your What” process. We recorded one of the last Workshops I did, broke it down into short-form videos, added the written materials from the live event and sell it as an online course. After someone invests in grabbing the hardcover book for $7.99, we present a one-time-only offer to invest in The Reinvention workshop online course for just $49 and approximately 25% of them do so. As I said, roughly 20% of those who opt-in for the eBook choose to get a hardcover copy. This equates to 50 people. At $7.99 apiece, I generate approximately $400 in revenue. Add the two together and it adds up to $1,012 in immediate revenue. This method can add up very quickly, as Steve appears in multiple interviews per week. But even if you have only a few hours to spend in a week, still, you can do miracles. I had to add this update as I just attended a live presentation hosted by Steve Olsher. The event took place on Friday, May 4, 2018, 11 am Pacific/2 pm Eastern and it was very interesting. Hear Directly From Leading Podcasters How To Get Booked On Their Shows… AND, GET BOOKED ON THE SPOT! All the speakers gave their insights into the podcasting world and helped us understand the process from start to finish. They expressed their preferences, how they get booked on other people’s shows, and how they treat incoming pitches. But I want to emphasize on the last part of the live presentation where Steve let 3 attendees pitch the 3 guests live. Every attendee had only 30 seconds to make a point and complete the pitch. The first 2 attendees although they made a first good impression they lacked clarity on how they’re going to help the guests’ audience with their appearance. They did not clearly state their direction. And Steve’s guests were quite confused on what to expect from them. At this point, Steve and his guests underlined the importance of narrowing down your niche so that you are 100% clear on your target audience. On the other hand, the last attendee was very clear with a concise and straight to the point message and pitched only 1 out of the 3 guests mentioning that she had listened one of Amy’s episodes and how she could help Amy’s audience with her appearance. As a result, Steve helped her connect with Amy by exchanging their email addresses. A marketing message needs to be clear first and foremost. As Donald Miller says…” If you confuse, you’ll lose”. So have that in mind before you reach out to influencers and pitch them on what you do and how you can help their audience. You’ll get to practice your pitch and get feedback until you feel 100% confident. When you appraoach hosts you need to overcome any fear, any doubt, any misconception. Receive a fill-in-the-blank pitch template and practice your pitch and get feedback until you can confidently approach hosts and producers without fear and get yourself booked! Create a proven indoctrination sequence to develop rapport with prospects so they’ll be amenable towards investing in your products, programs and services! Once per week, for 8 straight weeks (beginning the second week of May), Steve will personally guide you through the training. During each LIVE, online session, you’ll dig deeper into each module, cover additional nuances and have answers to your questions. Steve loves conducting these sessions as it provides the opportunity for him to learn more about YOU and your business, provide direction to help you achieve your desired goals and objectives, and answer any questions you might have about the training and leveraging the power of podcasts. You’ll be in touch with details on the exact training schedule and recordings will be made available for each session if you’re unable to join them live. You get access to Steve’s office hours for life, for free. Have any questions answered, connect with other community members, learn the latest cutting-edge strategies. Steve has access to amazing people and resources and will share them with you. Sometimes, his colleagues share their wisdom with members, names like Lewis Howes, Russell Brunson, Christian Mickelsen, Lisa Sasevich, Anthony Morrison, Neil Patel and many, many others. Connect with others in the Profiting from Podcasts tribe, post questions, find guests for your show if you decide to create one, land guest appearances, share resources and much more. Steve is consistently checking on the group and provide feedback and guidance as needed. People consistently ask to join this group and the only way in is to be a client. Detailed contact information for 670 of today’s leading podcasters who can make you famous by featuring you on their high-visibility shows. Steve’s team did all of the work for you and spent hundreds of hours and thousands of dollars creating this ultimate Rolodex. In this 147-pages PDF, Steve features the cream of the world’s leading podcasters. This is not just a simple list. This directory can help you ‘Broadcast your Brilliance’ with the world if you manage to connect effectively with the featured podcasters. These 670 Top names combined, reach hundreds of millions of people each and every month, and now you can imagine the size of impact this list can do for your business. It would be monumental. Have I already been a guest on at least 20 other shows? Have I already added value to the person I’m reaching out to in a meaningful way? Do I have my own show, or a substantial online presence, and have I already connected with, or had a podcaster on my show? Have I made my presence felt in their community? Do I know this person, their interests, likes, dislikes and have a solid affinity for them? Engage with the podcaster’s community consistently to develop a relationship. Download and listen to at least 5 episodes from the podcasters you want to reach out to. Steve’s team will take care of the tech by creating your podcast channel FOR YOU on iTunes and guide you to set up your host too. All you have to do is fill in a few blanks, such as the name of your show and what it’s about. This is a brand new addition to the already incredible program. An online training course that takes you step-by-step through EXACTLY what you need to do to create your own podcast. Steve’s training partner Tyler Basu of Thinkific has left NO stone unturned in this first-class, easy-to-understand (and implement!) program. Literally, EVERYTHING you need is here. From concept development and creating a ‘must listen to’ show that serves the needs of your target market, to launching your podcast on iTunes (and other distribution channels too) and cultivating a loyal, borderline fanatic following. I have already mentioned this feature in the modules section. But this is to give you an idea of how much it costs. No need to try and hunt down a designer or the right template. They’ve created two awesome templates you can choose from and they’ll customize it for you with your info. It’s the site more producers and hosts turn to when they are looking for guests to feature on their shows. 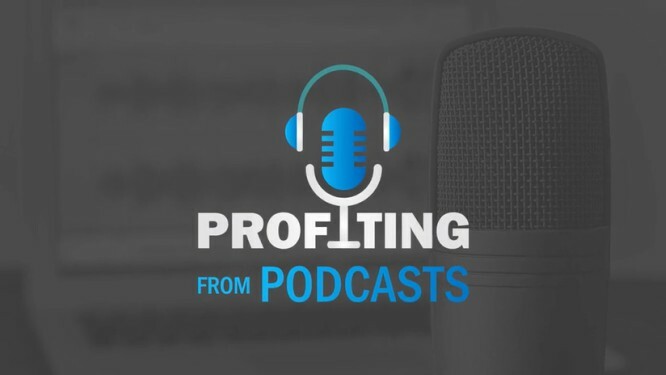 When you enroll in Profiting From Podcasts, you’ll be able to set up your professional profile and have a lifetime listing on this growing platform. Compare it to a full day with other coaches. In less than half an hour, Steve will answer your most burning questions or help you lay out a powerful plan of action for getting to where you want to go in expedited fashion! The catch: this bonus is only available to the first 50 registrants. Learn how to leverage and monetize the power of new media. Plus, meet 40 of the world’s top podcasters and have dedicated time to pitch them on who you are and what you do. Steve guarantees you will get booked on the spot. The next Summit is scheduled for September 11-13, 2018 in Austin, TX. As of this moment, they have less than 70 tickets left as attendance is limited to just 150 attendees so that everyone has ample time to connect with the ‘Icons of Influence’ in attendance. The remaining tickets are available on a first come, first served basis. Because they want to ensure that those who would like to join them have a chance to do so, a small seat deposit ($297) will be required to guarantee your seat. Of course, a check in this exact amount will be waiting for you upon your arrival as reimbursement. Registration details will be sent to you immediately after you enroll so that you can claim your seat! That’s a total real value of $19,785! Luis, who secured hundreds of opt-ins and sold programs ranging in price from $1,000 – $5,000 from a single podcast. JV, who secured a $50,000 client as a result of a listener hearing him on a podcast from18 months ago. Noah, who wanted to sell more copies of his book and sold hundreds of copies through podcasts. Jonathan, who earned nearly $20,000 from clients who heard him on a podcast from years ago. Meet Edgar, the social media marketing automation company that focused on leveraging the power of podcasts to get the word out about their service and generated over 100,000 email subscribers, 1.25M visitors to their site and over $3,500,000 in revenue. Tiamo who, from just one show, secured 18 registrations for his live event, many of whom invested in his products, programs, and services. Scott, who generated over $100,000 in client revenue as a result of booking 90 strategy sessions from just one podcast. JJ, who has generated over $40,000 in client revenue as a result of just one podcast. Dan Miller, who went from $0 to $2 Million following his WHAT and by selling eBooks, audio programs, live speaking events, and other digital material without having to hire any publisher. If you ask me, that’s a steal for Steve and a tremendous opportunity for you. Once you enroll, book your call with Steve (if you’re one of the first 50 — they’ll let you know if you are) and get started with the training. If, after you’ve had a chance to chat, you’ve joined Steve for the live training sessions, the Open Office Hours, experienced the training and took advantage of the bonuses you’ll receive, you decide that it’s not a fit for you, simply contact Steve’s team within 30 days to let them know why and they’ll offer you a full refund. You risk absolutely nothing at all and when you submit your details and payment information you’ll get immediate access to many of the bonuses you’ll receive. Here’s what this course is all about. But before I tell you my opinion I need to introduce myself very briefly. I do marketing since December 2014. I live, breathe, and dream marketing. This is what I do for a living. I help companies sell more of their products, both locally and globally. I offer marketing and advertising services to clients directly and as a marketing publisher indirectly through this website. My approach and marketing methods are very similar to Steve Olsher and Profiting from Podcasts. Because that’s what PFP is all about. It’s about marketing yourself using podcasts. To get recognized, become an authority, make connections, and scale your business using podcasts as the marketing medium. 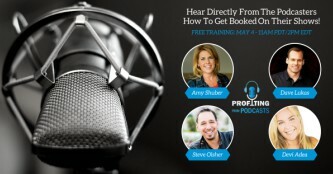 PFP is a training program to help you create a podcasting business. Steve Olsher is a successful podcaster and great marketer. Oh, and very friendly. I’ve attended one of his New Media Summit events and I enjoyed it, I loved it, and most importantly I admired his character. The methods Steve teaches are the methods used in modern marketing. He’s using his own angle but at its core, PFP is a marketing methodology that is client-targeted. He is offering value in the market, using ethical and constructive tactics, and definitely, he can help you become a podcast superstar. Not only you’re getting access to the world’s leading podcasting names and data, but you’ll dive deep into the world of podcasting. The Profiting from Podcasts program will open your eyes to the real potential of this medium that is underutilized at the moment. And this is a great opportunity for all the aspiring podcasters from every corner of the world. PFP will guide you to become a podcasting authority and you’ll learn how to approach other people’s shows as a guest and how to create your own shows. There’s no other training program in the market to help you with both directions. And you’re getting a ton of bonuses, both from Steve and me. 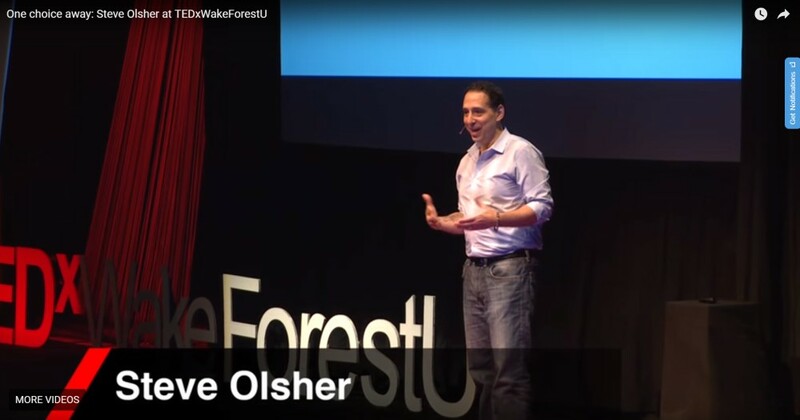 I was introduced to Steve Olsher and his material by a friend of mine and after discussing with other partners on various forums and communities, everyone had only positive comments and stories to share. And the PFP testimonials are endless. Among them, you’ll find successful entrepreneurs and well-known names in the industry. If this was a crappy program, rest assured, I would be the first to let you know. The majority of my reviews are negative. Based on my 4+ years online marketing experience I can confidently say that listening to podcasts and audio files generally, was the method that had the biggest impact on my career. With all that being said, podcast is the medium that gets people’s attention, that creates strong relationships and connections, and ultimately motivates people to buy because of all the things we mentioned before in this article. I want to be completely honest with you. If you’re just getting started, then you need to be clear on your topic of influence (TOI), and you need to be fluent enough to appear on other people’s shows or to create your own podcasting show. To make PFP a success for you, you need to work following the training and you need to have a strong presence online. This is where I can help you with my bonuses to get recognized faster and I will guide you through the training step-by-step (next paragraph). All in all, the material Steve shared are high-quality, comprehensive, and can get you booked on top podcasting shows. It’s one of those ELITE programs that are super-detailed, with clear step by step instructions, and tremendous support throughout the training and more importantly, afterwards. Not to mention the 30-days money back guarantee, refunding you in full. The bonuses are extremely valuable, and only the ticket to the New Media Summit is like having a ticket to paradise. You won’t get easily a chance to meet and interact with so many icons in one place at no cost. If you can’t get booked on other people’s shows at an event like this one, then I don’t know an event that can help you. The training shows the way to achieve extreme but doable success with podcasting but I have to tell you, it won’t be easy. You have to commit to reaching out to other podcasters in order to increase your visibility and gain followers. You have to participate in these podcasters shows, to provide value to their audience, and help them. Additionally, you have to create your own shows to increase your authority and begin building trust with people, other podcasters, and their listeners. If you’re not willing to take action and do the hard work that’s associated with these actions, then this program is not for you. Simply put, if you invest in this exceptional program, do all the hard work, use the bonuses, chat with Steve in private, interact with fellow members in the groups and the Facebook community, and attend the New Media Summit, I can’t see any reason to fail. It only takes some time to get recognized. To help you even further I decided to add some extra value to the already extreme package that Steve compiled. And this is to help you realize how much I believe in this program.